It has become almost cliche these days to point out how many governments are broke beyond belief. In the United States, the government adds a trillion dollars each year to the already unsustainable debt, and fails to collect enough tax revenue to cover mandatory entitlement spending and interest payments on the debt. Although Singapore’s stricter migration regulations have made it more challenging to attain Singapore citizenship, you stand a better chance if you demonstrate that you’re keen to contribute to Singapore’s growth and prosperity for the long-term. Malta is another example. That country’s debt level is almost as bad as in Cyprus. Yet the government of Malta has recently announced a new citizenship-by-investment program which could potentially raise billions of euros for the tiny country. Singapore is one of the richest countries in the world and has remained resilient as an economy especially since the 2008 financial crisis. Your company should be in one of the high-growth sectors and create employment and development opportunities for Singaporeans. Contributing back to Singapore’s society will also put your firm and yourself in good light, as it demonstrates that you care, and are genuine about sinking deeper roots in Singapore. The city-state is also known for its pro-business environment. It offers companies an ecosystem that has a sophisticated infrastructure, political stability, transparent business policies, a skilled workforce, respect for the rule of law and strong intellectual property rights protection. 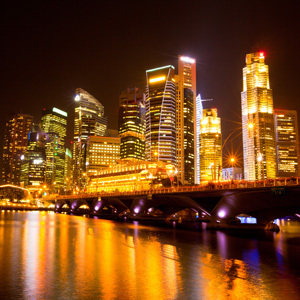 On top of these factors, Singapore offers attractive effective tax rates, which leaves more spending power to businesses as well as individuals. The republic’s extensive network of Free Trade Agreements (FTA) and Avoidance of Double Tax Agreements (DTAs) also benefit businesses that operate in various jurisdictions. Furthermore, Singapore allows for 100% foreign ownership of businesses. 1) Invest through the Global Investor Programme. 2) Start a bonafide company in Singapore and relocate here to run your operations. Your company should be in one of the high-growth sectors and create employment and development opportunities for Singaporeans. Contributing back to Singapore’s society will also put your firm and yourself in good light, as it demonstrates that you care, and are genuine about sinking deeper roots in Singapore. After a year, you may be eligible to apply for permanent residence, and if you do get the approval for this, you may apply after 2 years for Singapore citizenship.